18th Century oak and fruitwood cabinet of perfect proportions. Three scalloped shelves with grooves for displaying plates. 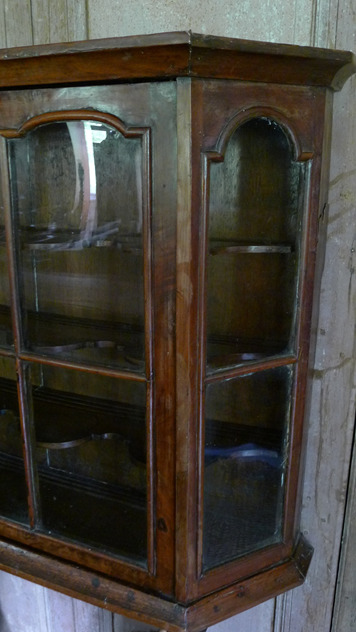 Early 20th Century university bookcase.